*Authorized Dealer of Heat & Glo and Heatilator Fireplaces* Construction Solutions & Supply, located in Jacksonville FL, offers indoor and outdoor fireplaces, fire pits, outdoor kitchens, grills, and seamless gutters for your home. We offer top brands including Summerset outdoor grills, Heatilator fireplaces, and much more. By providing superior products coupled with quality services, Construction Solutions & Supply completes each project with professionalism. We work quickly and efficiently to ensure our customers are completely satisfied. At Construction Solutions and Supply, we have built a solid reputation by serving the Jacksonville FL area since 2007. From builders to homeowners and contractors, we ensure each project is completed in a timely manner! If you are looking for a company with the expertise and dedication needed to complete your home or business projects, you have come to the right place. Contact us to find out why people in Jacksonville FL choose Construction Solutions and Supply to get the job done right each and every time (904) 440-0280! By providing superior products coupled with quality services, Construction Solutions & Supply completes each project with professionalism. We work quickly and efficiently to ensure your satisfaction! 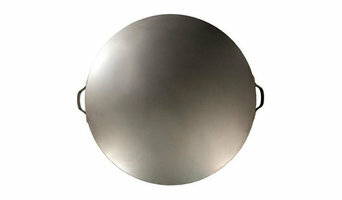 We sell Indoor and Outdoor fire pits and fireplaces, along with accessories to go with it. But what is an outdoor fire pit without the comforts of some patio furniture. Heritage Stones LLC. is very detail-oriented with a passion for beauty and excellent craftsmanship. We have almost 30 years of experience in both new construction and historical restoration. New Construction & Retrofit gas piping. 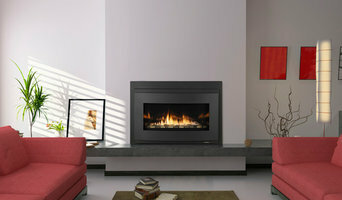 Dealer & installer of Fireplaces, Log sets, Built in Grills, Fire-pits, Tankless Water Heaters. Once upon a time, fireplaces were central to the home — meals were even cooked in them. Fireplaces go beyond physical comforts too, offering psychological and emotional warmth even in modern households. However, installing a new fireplace can go wrong, quickly. There is a lot to keep in mind, and there are plenty of safety measures that you need to get right. Reaching out to a Jacksonville, FL fireplace professional can help you find the right unit for your home and make sure it’s installed correctly. What should you know about buying a fireplace in Jacksonville? Since wood smoke contributes to air pollution, many cities have banned the use of wood-burning units. If you’d like to buy a wood burning unit, check the Jacksonville, FL city policies first. If your home already has a wood-burning unit that you’re concerned about, contact a fireplace manufacturer to replace your wood-burning unit with an environmentally friendly electric or gas alternative. Gas inserts can be efficient heaters and may lower your electric-heat bill. Many adjust to provide high heat on a cold night or a low-burning flame for ambience. Interior fireplaces and mantel designs are as varied as home interiors. From custom fireplace mantels made to conceal a flat-screen TV to custom hearth designs with elaborate Renaissance-style stone mantels, the latest designs can be found by visiting Jacksonville, FL fireplace showrooms. Find fireplace manufacturers and showrooms, plus fireplace installation professionals, on Houzz. 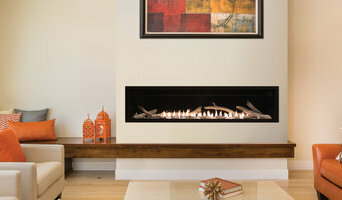 Go to the Professionals section to find Jacksonville, FL fireplace design and installation experts.